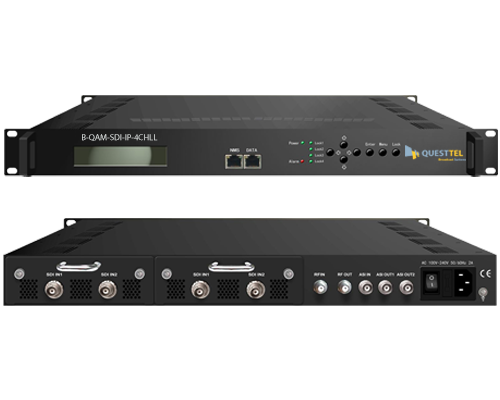 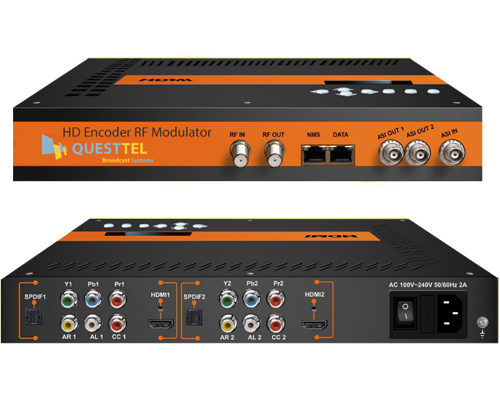 B-QAM-YPbPr-IP-4CH series products are QuestTel's all-in-one devices which integrate encoding, multiplexing and modulation to convert V/A signals into digital RF output. 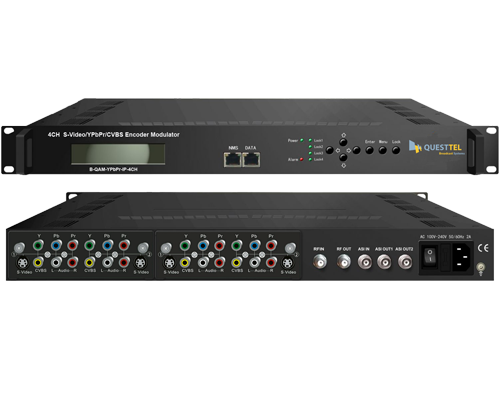 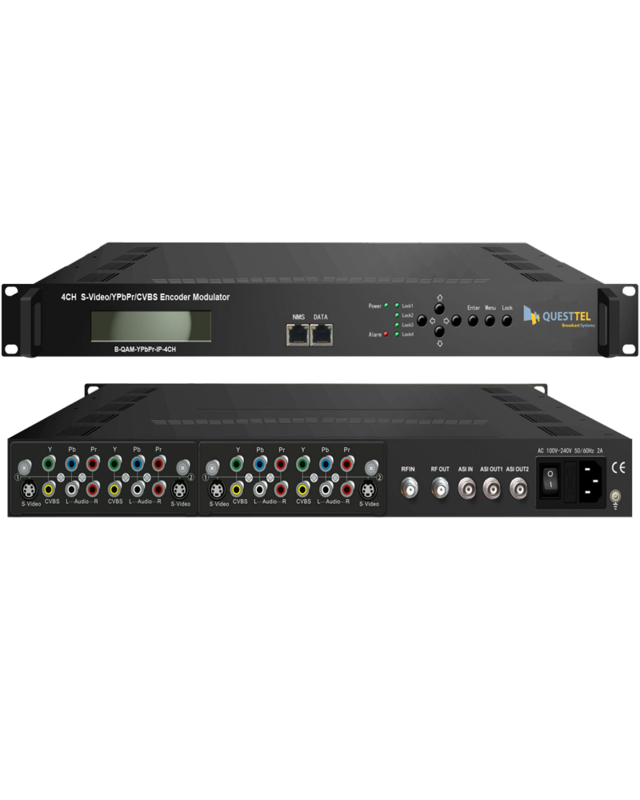 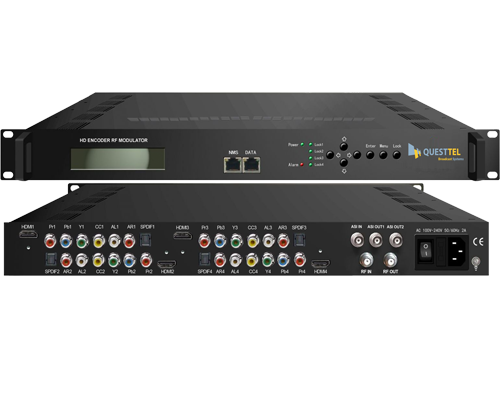 It adopts inner drawer-type structural design which greatly facilitates the change of encoding modules (HDMI/SDI/YPbPr+CVBS - optional) as needed. 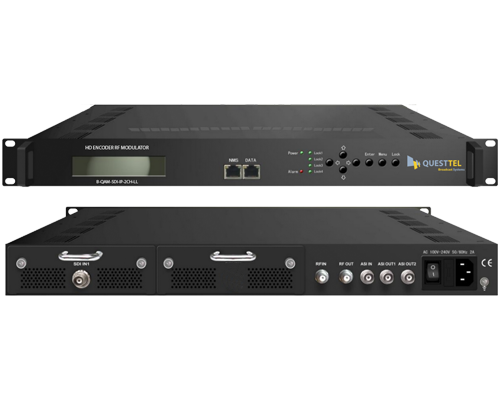 To meet customers’ various requirements, B-QAM-YPbPr-IP-4CH is also equipped with 1 ASI input for re-mux, and output with 2 ASI ports and 1 IP port.The signals source could be from satellite receivers, closed-circuit television cameras, Blue-ray players, and antenna etc. 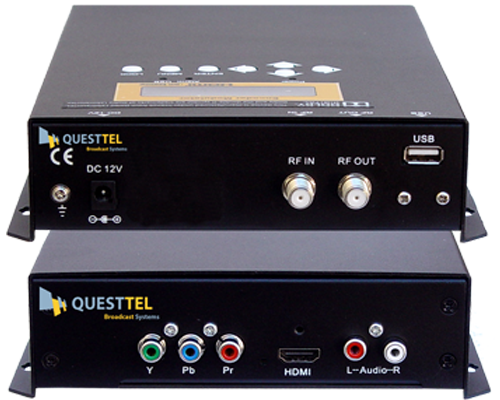 Its output signals are to be received by TVs, STB and etc with corresponding standard.